The city of San Cristóbal de las Casas sits at more than two thousand meters above sea level, surrounded by cloud-topped green mountains, its innermost streets paved with beautiful pink stone that has been smoothed by five hundred years of pedestrian traffic. Ciudad Real, as it was called for centuries, was established as a base for Spanish conquistadors as they went about subjugating the last Mayan resistors in this, the southernmost part of Mexico. San Cristóbal is the cultural capitol of the state of Chiapas, one of Mexico’s poorest states, and home to the country’s second largest indigenous populations. On the northern edge of the city, an unpaved dirt road runs between homes built of tree bark and plastic to the Medina mosque. On a Friday afternoon, around four dozen Tzotzils, indigenous Maya from the surrounding highlands, fill the room. A row of men sit in front, followed by a row of children. The women, some dressed in traditional blouses and wool skirts, sit in the rear. The sermon today is being delivered in Spanish and Tzotzil by a young convert; references to Quranic passages are recited in flawless Arabic. The congregation represents a growing Muslim presence in the state of Chiapas. Officially, there are 3,700 Muslims in the entire country, and at least 500 of them live in San Cristóbal. On the outskirts of this city, in slums that are home to the indigenous people of the area, one can find three mosques among scores of Evangelical churches. Many of the Muslim converts in the city today come from communities of displaced Christians. Tens of thousands of reformed Catholics and Evangelicals were violently expelled from their communities in rural parts of southern Mexico since the 1970′s, many of them settling in San Cristóbal. Those expelling them enjoyed impunity because they were allies of the Partido Revolucionario Institucional (PRI), a political party that ran Mexico unopposed for 70 years, and was re-elected to power in 2012. The expelled would become some of the earliest and most important allies for the Zapatista Army of National Liberation (the EZLN), which staged an armed rebellion in 1994 seeking to overthrow the PRI and end the exploitation of the indigenous peoples of Mexico. The Zapatistas brought a sense of confidence to the indigenous people of Chiapas, sparking the formation of new groups of Evangelicals that reversed the tide of expulsions. In some ways, the rebellion also brought Islam to Chiapas. “This child,” my friend says, pointing to a boy, “his grandfather is in prison. Every time they let him out, he causes problems for the government.” We are driving through the slum of La Hormiga, dropping off the handful of kids that had attended classes at the mosque that evening. “His name is Domingo Lopez Angel,” he told me. To the Muslims, Angel is known as Siddi Omar. I first met Omar on July 1, 2012 – election day in Mexico. Omar’s family is visiting him in prison, and I tag along. Several of his children and grandchildren – all of whom are Muslims – accompany us. On the way, his wife Mariam picks up roasted chicken, tortilla, beans and rice for us to eat during our visit. I get the sense she is used to visiting him like this. Omar is a short, 57 year old Tzotzil Mayan. A generous white beard sits below an ever-present smile. He is dressed in pressed khakis and a white shirt. We talk at picnic tables in the prison yard. “I was going to run for Governor,” Omar says, only half jokingly, when I ask him why is incarcerated. “They do not want another Benito Juarez,” he says, referring to the socialist President who was one of Mexico’s most popular leaders. In April 2009, after a decade in and out of prison for political activism, Omar was arrested for allegedly helping take over the illegal squat housing Masjid Medina, an area known as Molino de los Arcos. Molino de los Arcos is the largest and oldest of several illegal squats in San Cristóbal. The land is legally owned by the family of Francesco Pellizzi, an Italian-American anthropologist and art collector, who has made a career studying and preserving Mayan culture in Chiapas. Pellizzi he has been pleading with the Mexican government to the remove thousands of indigenous people squatting on Molino de los Arcos since 1994. He wants to turn the space into an ecological reserve. Like the other illegal squats, the indigenous people living in Molino de los Arcos cannot get proper access to sewage or electricity. They cannot build a stable life because there is a constant danger of being evicted by local authorities. Omar does not live in Molino de los Arcos, nor does he own any land there. But in 2008, he was asked to help with the legalization of the land. Like most indigenous men in Chiapas at the time, Omar earned a living by working on a farm owned by Americans. These migrant workers spent much of the year in distant parts of the country, where they were exposed to new political and religious thinking. When Mexico gained independence from Spain in 1810 , around 100 mestizo families– families of partly Spanish descent – owned nearly all the rural land in Chiapas. After the 1910 Mexican Revolution, the federal government had mixed success in Chiapas as it tried to implement one of the most radical agrarian reforms of the era. Lázaro Cárdenas, head of the Partido de la Revolución Mexicana—the precursor to the PRI—is credited with implementing many of the reforms the country’s constitution promised during his term 1934-1940 term as president. But Cárdenas also laid the foundation for future conflict in Chiapas. He created the National Campesino Confederation (CNC) in 1938, a tutelage of his party that oversaw the distribution of federal resources to campesino organizations throughout the country. Promising to integrate the country’s long-marginalized Indians into the social fabric, Cárdenas setup state institutions to promote economic and cultural development. In an effort to “Mexicanize” Indians in the country, he supported the Summer Institute for Linguistics, a language school run by Evangelical missionaries from the United States. The institute was the first to translate the Bible into local Mayan languages, and paved the way for the popularity of Evangelical Christianity in Chiapas. Cárdenas hoped the institute would foster widespread anti-clericalism among the Indians, freeing them from the influence of the Catholic Church in Mexico. In rural towns like San Juan Chamula, the CNC selected a handful of indigenous leaders to act as its representatives. Aid for Chamulans flowed exclusively through these representatives, who decided how to implement agrarian reforms, or who would get federal loans, farm subsidies, or licenses to lucrative industries. License to sell alcohol, crucially, was only given to select Chamulan leaders. Alcohol played a central part in religious rituals in Chamula. One drink in particular, a rum called posh, is still consumed in large quantities during religious fiestas, baptisms, weddings and funerals. As a result, the license-holders wielded immense power. These were the men that would become Chamula’s caciques, politically connected Indians that ran the show. As anthropologist Christine Kovic explains in her 2005 book, Mayan Voices For Human Rights: Displaced Catholics In Highland Chiapas, “In time the caciques became critical to preserving Chamula’s partial autonomy from mestizo cultural, political, and economic control. In exchange for government resources, caciques had to ensure that residents of the municipality delivered votes to the PRI.” For much of the last century, 100 percent of San Juan Chamula’s votes went to the PRI. During his time as a migrant farmer, Omar began talking to Pentecostal Christians, who challenged his ideas about Catholicism. Like most of the indigenous people in San Juan Chamula, Omar had always followed a mix of pre-Hispanic and Catholic beliefs. Even today, in the ancient church of San Juan Chamula, the curanderos – medicine men that employ a mix of Catholic and pre-Hispanic teachings – sacrifice live chickens to Catholic saints. They use Coca-Cola to heal the sick, and insist on consumption of copious amounts of alcoholic drinks like posh. 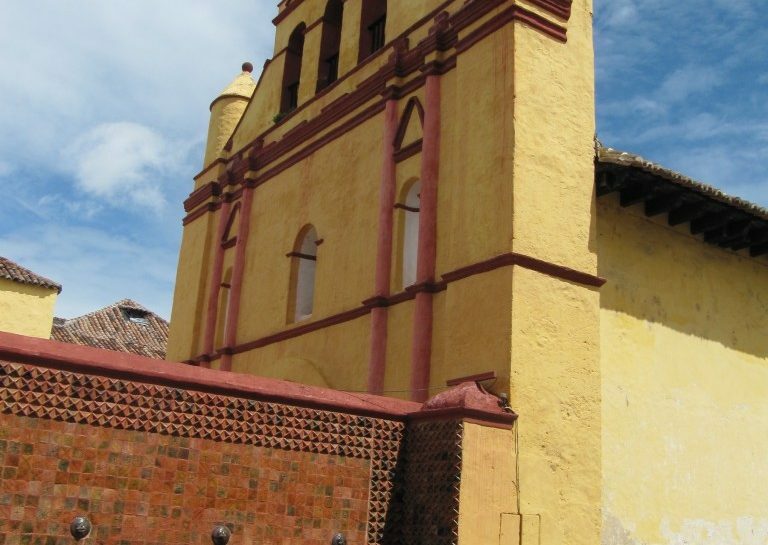 The Catholic Church would occasionally send clergy from San Cristóbal to curtail these practices, only to find themselves being chased out of town. Even locals that called for reforms were accused of helping mestizos and foreigners to undermine indigenous traditions. Regular fiestas were put on throughout the year to celebrate various saints, and the responsibility to finance them was rotated between the town’s inhabitants. Religion became an integral part of the socio-political system in Chamula. In 1968, Omar met Seventh Day Adventists from the United States, who claimed Saturday was a day of rest. He did some research and found Emperor Constantine had imposed Sunday on Christians as a holy day instead of Saturday. These Seventh Day Adventists, he decided, were following the Bible more closely than the people he had grown up with in Chamula. Omar became a Seventh Day Adventist. He gave up drinking, and stopped attending the town’s community fiestas. But Omar’s new faith was a threat to the political power of Chamula’s caciques. In 1973, he became one of the first Evangelicals to be forced out of San Juan Chamula. The next year, the caciques forced the last Catholic priest from town, and the expulsions became increasingly violent. Today, the sectarian conflict has been curtailed, but not entirely eliminated. Last June, around 40 Evangelicals living in the community of San Juan Yashtinín – just north of San Cristóbal – were forced from their homes, which were later burned down. Evangelicals still regularly complain that their children are not allowed to attend public schools in cacique-controlled areas. In 1984, Omar and other expelled indigenous leaders – both Catholic and Evangelical – formed an organization called the Consejo de Representantes Indígenas de los Altos de Chiapas (The Council of Indigenous Representatives of the Highlands of Chiapas, or CRIACH). For several decades, the organization represented tens of thousands of expelled Indians in San Cristóbal. They held dozens of meetings with elected officials in Chiapas, from the governor on down, and organized marches and sit-ins with thousands of Indians. They even petitioned international human rights groups, but the expulsions continued. The PRI, which was more interested in holding on to power in Mexico, never came to the defense of the expelled Indians. Under CRIACH, the Indians built a new life for themselves in San Cristóbal, a city dominated by mestizos. It is no wonder then, that when the EZLN ventured out of the Lacandon Jungle in the 1990′s, it found some of its most enthusiastic allies among the Indians settled in San Cristóbal. On October 12, 1992, San Cristóbal was celebrating the 500th anniversary of the landing of Christopher Columbus in the New World. In a plaza in the center of the city, thousands of young men and women suddenly broke from the crowd and made for the massive statue of Diego de Mazariegos, the Spanish conquistador that had established the city. They shattered the bronze statue into pieces, marking the first appearance of the Zapatista rebels in San Cristóbal. Omar helped found the neighborhood of La Hormiga (literally The Ant) in 1984. It is built on a steep hill that extends north from the Periférico, a road that rings the city of San Cristóbal. The hill’s name predates the neighborhood, but the names of other neighborhoods ringing San Cristóbal follow a more telling pattern. Places like Nueva Esperanza (the first indigenous colony), Palestina, and Paraiso, were named by the Evangelicals that founded them after they were expelled from San Juan Chamula. Older neighborhoods like La Hormiga have paved roads and running water, but the newest settlers live in abject poverty, housed in single-room structures made of tree bark and plastic. For much of the last century, most men in places like San Juan Chamula were migrant workers on coffee plantations and cattle ranches in other parts of the state belonging to mestizos or foreigners. Coffee prices fell dramatically in the 1980′s, and an influx of hundreds of thousands of Guatemalan refugees willing to work for less than the locals made things worse. People could no longer rely on migrant agricultural work because there was simply too much competition for too little work. Meanwhile, the PRI adopted an increasingly neoliberal economic strategy, cutting subsidies for essentials like corn, and opening up markets to foreign investors. And in 1992, they destroyed any hope of further agrarian reform by removing Article 27 of Mexico’s constitution, which allowed for communities of farmers to own the land they worked. Rus says that all the upheaval allowed for a level of cooperation between communities of displaced Indians that was not seen in other parts of Mexico. In the Lacandon Jungle, hundreds of thousands of Indians formed one single union to protect against mestizo land interests. And in San Cristóbal, groups like CRIACH organized to work around centuries-old laws that kept Indians from putting down roots in the city. When the Indian settlers found mestizos barring them from selling in the local markets, CRIACH pushed to take over land in the city’s center. Permits for operating commercial vehicles were not given out to Indians. So CRIACH bought its own cars and vans and put their own logos on the side, enabling thousands of Indians to earn a living from a burgeoning transportation industry. On January 1, 1994 – as a new free trade agreement between Mexico an the United States was set to go into effect – thousands of masked, armed Indians came out of the Lacandon Jungle in eastern Chiapas and swiftly took over five cities. The Zapatista Army of National Liberation (EZLN) declared a war on the Mexican state, vowing to reverse centuries of oppression at the hands of mestizos by forming its own government that would be run by the indigenous people of Chiapas. Their motto was “un mundo donde quepan muchos mundos,” or “a world where many worlds may fit” – a promise to look past divisions that have historically been used to divide Mexico’s indigenous. In San Cristóbal, the Zapatista rebels relied on the help of Omar, whom they had contacted when the uprising was still being planned. CRIACH provided food and transportation to the rebels, allowing them to withstand four days of bombardment by the Mexican military and then melt into the surrounding mountains. “These brothers, most of them Evangelicals and Chamulas, all of them indigenous, from this neighborhood of La Hormiga, gave us a hand and helped us and saved the lives of many of our compañeros,” explained Subcomandante Marcos, the EZLN’s spokesman, at a rally organized by Omar in 2006. For the indigenous people in San Cristóbal, the rebellion came at a critical time. A few months before the uprising, nearly 800 Evangelicals were expelled en mass in some of the worst sectarian conflict in decades. After the rebellion, they met in private with the EZLN commander Marcos to ask for his help, but the Zapatistas were unwilling to overtly aid them while negotiations were going on with the Mexican government. Instead, Marcos encouraged the Evangelicals to arm themselves. “Part of that mass of people armed themselves,” explains Rus, “and part of it refused to…insisting that our religion is our shield.” A few months later, with the protection of a handful of armed Evangelicals, CRIACH loaded the 800 Evangelicals into trucks and brought them back to their homes. “Without the government – the federal government, the state government, the municipal government – without anyone intervening,” Omar proudly recounts. Those that had armed themselves left Omar’s group soon after, forming an Evangelical militia called Guardian de mi Hermano. Today the militia operates as Alas de Águila, and fights, ironically, against Zapatistas in rural parts of Chiapas. In February 1994, 285 Indian organizations came together to form an umbrella group called the Consejo Estatal de Organizaciones Indígenas y Campesinas (CEOIC). One of the group’s first actions was to call for the occupation of mestizo-owned land, and in San Cristóbal, hundreds of Indians invaded land on the outskirts of the city. Before, land for Indian settlements had been bought by pooling the meager financial resources of settlers. The invasion of Molino de los Arcos – the dispute that landed Omar in prison in 2009 – was undertaken by the CEOIC. Another sign of the Indians’ newfound confidence would come in the elections of 1995 and the loss of the PRI’s monopoly over the state. With the support of Evangelical leaders like Esdras Alonso, and Abdías Tovilla Jaime, Omar was elected to the state legislator as a member of the PRD, a new leftist opposition party. He was one of the first Indians to hold such an office in the state. Even if the caciques of San Juan Chamula still ensured that town’s votes went to the PRI, the cause of those they expelled now had a voice in the legislature. But Omar’s reputation as an agitator got the better of him. In 1996 the PRD expelled him after some of his followers protested an intraparty election. Omar and the other Indian PRD members in Chiapas said they were being kept from joining the party leadership. Omar lost his seat in the legislature soon afterward. Two years later, Omar would become a Muslim, and fall out with the Evangelicals as well, who were increasingly antagonistic towards the Zapatistas. By then the Zapatista rebellion had turned into a low-intensity proxy war. The rebel army, the EZLN, chose not to stage any physical assaults on major cities like they had done in January 1994. Instead, they offered their support to hundreds of communities that declared their autonomy from the federal government. Supporters of the Zapatistas say the federal government countered by training and equipping paramilitary groups to harass – and occasionally kill – the Zapatista sympathizers. Because the Zapatistas had received strong support from reformist leaders in the Catholic Church like San Cristóbal’s bishop, Samuel Ruiz, the rebels often found themselves in the middle of a sectarian conflict with Evangelicals. The best-known confrontation in this proxy-war was the brutal 1997 massacre of 45 Zapatista supporters – men, women, and children praying at Catholic church – in the village of Acteal. Human rights groups say the PRI was exploiting sectarian tensions to fight the rebels in Chiapas. Two paramilitary groups – Paz y Justicia and Máscaras Rojas – were identified by survivors of the Acteal massacre. Paz y Justicia members had clashed with human rights workers in the months leading up to the massacre as well, so it made sense. Under intense pressure to prosecute the killers, the Mexican government rounded up nearly one hundred suspects, mostly Evangelicals. Dozens were picked up after being identified as the perpetrators by the survivors. But Esdras Alonso and Abdías Tovilla Jaime—two Evangelical preachers that once supported Omar—lent their support to the suspects, saying the men were innocent. Omar became a Muslim in 1998, just as he was beginning a three year stint as a political prisoner, and the schism between him and the Evangelicals was widening. Alonso and Jaime accused Omar of betraying them, of converting to Islam because Muslims had “a lot of oil and money.” The Evangelicals even sued Omar when he tried to convert a defunct church – on land Omar says he legally owned – into a mosque. In 2009, Mexico’s Supreme Court overturned the conviction of most of the Evangelicals suspected of the Acteal massacre. That same year, Alonso, Jaime, and the Alas de Águila church announced they would join the PRI, the party that had looked the other way as Evangelicals in Chiapas were persecuted for decades. Morquecho, who is writing a book about the Muslims in Chiapas, has been close friends with the converts for decades. He runs a small bookstore out of Tierra Adentro, a cafe in the center of San Cristóbal that is apparently the main stop for the legions of Zapatista-inspired tourists—Zapatourists—making their way to Chiapas. The cafe’s walls are lined with shops selling hand-made goods from cooperatives in rural parts of the state. The entrance is decorated with a twist on the image of the Virgin of Guadalupe: all black and red, the Virgin Mary is masked in a balaclava and adorned with belts of ammunition. In 1994, along with the international activists, came two Muslim converts from Spain, belonging to a Sufi movement called the Murabitun. Led by one of the world’s leading Muslim intellectuals, Sheikh Abdul Qadir Asufi, the Murabitun are based in Granada, Spain, and have large communities in Scotland and South Africa. The Murabitun are more politically-engaged than most other Sufi movements today. They are perhaps best known today for arguing that Muslims must give up paper money and return to the gold standard, without which, they say, it is impossible to fulfill the basic requirement of zakat, or annual charity. Morquecho explains that the Murabitun delegation’s leader, Muhammad Nafia, invited Subcomandante Marcos to become a Muslim, but was rebuffed. While the rejection seems to have soured the Murabitun delegation’s view of the Zapatistas, it did not keep them from becoming involved in the political activity going on in Chiapas. A long-standing grievance of the indigenous in San Cristóbal had been a lack of access to public space in the city, especially space to sell their goods. “The Indians are badly treated, discriminated against,” explains Morquecho, “so their tendency is to have their own neighborhood and their own market.” When other activist groups did not throw their weight behind the market, Nafia offered to help the Indians develop one. The offer impressed Sebastian Lopez Lopez, 53, who sold bananas at a stand near the center of town. He was the first Mayan to embrace Islam, and now goes by the name Muhammad Amin. Clean-shaven, Amin speaks in short, measured sentences and wears a pair of Aviator sunglasses. He refuses to discuss politics with me, but Amin is a well-known supporter of the Zapatistas in San Cristóbal. When he walks down the street, he stops and chats with many of the Indians he passes. Amin tells me he was a curandero in his younger days. “There came a time when I found patients I could not heal, and they died,” he explains. “I thought perhaps I was the problem, so I gave up being a curandero.” By the time he came to San Cristóbal in 1988, Amin says he didn’t believe in anything, and put his energy into political action. The dignity Islam seemed to give the poor also struck a cord with Amin. “In Chiapas, ” he explains, “we live day to day. If we do not work one day, our families do not eat at night.” Stories about the earliest Muslim communities in Mecca and Medina are replete with accounts of the poorest disciples of the Prophet Muhammad. “[The Murabitun] were always very careful about their relations with the general population,” Morquecho explains. “People came on their own. They never went on the street to preach.” Within a few years, two hundred Mayan Indians became Muslims, joining the community led by Nafia. Many of the earliest Mayan converts used to be Evangelicals, expelled from their homes like Omar. Andres Patishtan, 40, has been a Muslim for thirteen years, and now goes by the name Mujahid. He works in construction, an industry that is booming as more indigenous people move into the middle class. Mujahid speaks in broken English, which he picked up during a stint as a construction worker in the United States. Born a Catholic, he studied the Bible and found he was not following the book’s teachings. In 1982, he became a Seventh Day Adventist. “The Evangelicals said there is just the Father, the Son, and the Holy Spirit, ” Mujahid explains, “but the caciques wanted to keep all their saints.” Three decades ago, Mujahid and his sister were expelled from their homes, and they came to San Cristóbal. The fledgling Muslim community in San Cristóbal has not been immune from the ideological battles plaguing their co-religionists in other parts of the world. The Murabitun follow centuries-old Sufi practices, many of which are common among mainstream Muslims throughout the world. After congregational prayers, they spend a few minutes reciting parts of the Quran and chanting as a group. For the older Murabitun converts, this also serves to help memorize important passages of the Quran in Arabic, a language only a handful of them could read on their own. A chance encounter with a strict Salafi Muslim from outside the community prompted some local converts to question practices like the chanting. A handful of them left, and started their own mosque nearby. Masjid Kauthar is a simple wooden structure like Masjid Medina, and also happens to be in Molino de los Arcos. Since that first split, the Murabitun have steadily lost more and more Mayan converts. Some ex-Murabituns say they left because they were being asked to lead an increasingly insulated life. “Leave your mother, your father if they do not accept Islam,” one recalls being told. They were told to cut their ties to Indian traditions, to eat rice and bread instead of the Mexican staple of tortilla, and prohibited from speaking their native language. Like many Indians in Chiapas, the older community members can only speak Tzotzil. Others say they left because they realized the Murabitun were not giving them a complete picture of Islam. Mujahid was exposed to a wide variety of Islamic interpretations when he left Mexico in 1999 to look for work in the United States. He lived for several years in Miami and Kentucky, where he found communities of Muslims from Bangladesh, Pakistan, and Bosnia. “We were all the same, except the Bosnians had lighter skin,” he recalls. It was a significant influence on Mujahid, one that he likens to Malcolm X going on the Hajj. Muhammad Amin left the Murabitun to establish Masjid Medina, on land adjacent to his home in Molino de los Arcos. He and Mujahid invited the other ex-Murabitun Muslims to join them, and soon they had a community of hundreds. While their numbers have dwindled, the Murabitun continue to hold their own prayers. When I visited them, I was told dozens of children attend their small school, which has been accredited by the government. Despite their differences, all three communities have stuck with Islam. Many that left the Murabitun still appreciate the initial guidance Nafia gave them, but say his teachings were not representative of true Islam, nor even of the Murabitun movement. A handful of converts study Islam overseas, including directly under Sheikh Abdul Qadir Asufi. Many of the older converts are still politically active, and some like Muhammad Amin are involved with the Zapatistas. In 2006, the EZLN launched the Other Campaign, a national movement to encourage Mexicans to look beyond political parties for their needs. To raise awareness about the campaign, Omar and some of the other Muslims hosted the EZLN’s spokesman, Subcomandante Marcos in La Hormiga. The handful of national and international press accounts about the Muslims have failed to understand the complexity of faith in Chiapas. Some paint a picture of indigenous people converting for financial or political reasons. Others have reported the Muslims are connected to the ETA. Some have even tried to paint the conversions to Islam as a new form of European colonialism. As a result, the Muslims are extremely wary of outsiders. The Muslims in Chiapas come from the poorest, most marginalized communities in Mexico. All three congregations have suffered from the friction between them, which prompted the handful of funders they had from outside the region to abandon them. Leaders like Mujahid and Muhammad Amin are now looking for more sustainable, independent, ways to meet the needs of their congregations. They hope to build on the model developed by the dozens of NGOs that came to Chiapas after the Zapatista uprising, establishing community centers that will teach people new skills to raise their standard of living. They plan, for example, to teach their communities how to farm enough to feed themselves, a skill-set they lost after being forced to settle in urban areas like San Cristóbal. In November 2012, hundreds of armed Evangelicals, members of Alas de Águila, marched through the streets of San Cristóbal in a show of force. They called for the state to ensure the safety of Evangelicals in Chiapas, and the return of scores of recently expelled people from communities like San Juan Yashtinín. In an ironic development, the Evangelical group joined the CNC in 2009, returning to the PRI, the very political party that refused to defend them against the caciques in the past. Perhaps they were anticipating the results of the 2012 Mexican elections. After twelve years out of power, the PRI is once again in control of the country. In Mitzitón, a town near the Lacandon Jungle, Alas de Águila has been locked in violent confrontations with locals who are aligned with the Zapatistas. The Evangelicals say the Zapatistas are expelling church members who object to their politics. The Zapatistas, who oppose a government plan to construct a highway through their community, say Alas de Águila is working as a proxy for the PRI. Even human rights groups that used to defend the Evangelicals when they were being targeted by the PRI, now find themselves being threatened by Alas de Águila. A few months after our meeting, shortly before the inauguration of a new state government, Omar was released from prison, without charge. The President of the Chiapas State legislature, as well as the state’s top prosecutor, personally oversaw the release of Omar and 32 other political prisoners. Omar had spent more than three years in prison.